Training in Paraguay with partner Cotripar! 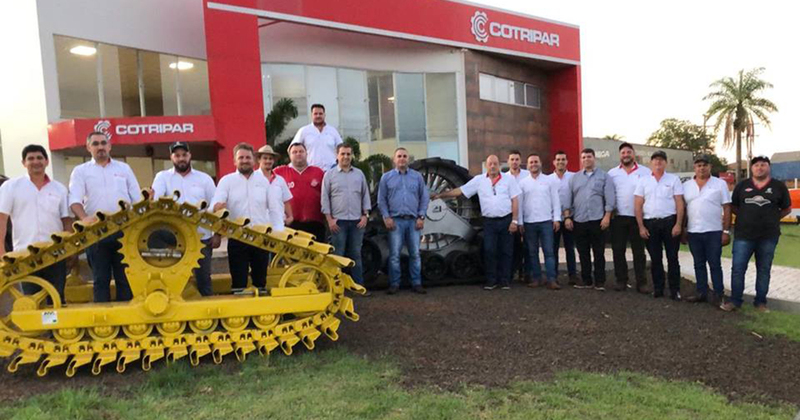 This week our Agro Máquinas and Camso Comercial team is in Paraguay visiting the partner reseller Cotripar. There was training for vendors and regional managers on the benefits of treadmills, such as productivity gains, lower soil compaction, simple maintenance, and more. Was very good!